A bachelor's degree has become the standard for an increasing number of entry-level positions, but is it really worth the blow to your (or your parents') bank account? It depends on what you study. While a major in finance might very well put you on the path to a lucrative career, a degree in underwater basket weaving won't. We examined employment and earnings data for 129 popular college majors to identify courses of study that typically lead to small salaries for both recent graduates and experienced workers. We also homed in on majors that aren't in high demand on the online job marketplace. Finally, we looked at professions related to these majors to see which ones have the most discouraging long-term prospects for job growth. Pursue any one of these majors if that's where your passion lies, because what you study in school is just one component of the overall package you present to prospective employers. Just be prepared for the reality that some majors can limit your career opportunities and earnings potential after graduation. Take a look at the 2014-2015 list of the 10 worst college majors for your career. A bachelor's degree in art history alone won't do wonders for your earnings power in the field. Museum technicians and conservators, two positions available to B.A. holders, pull in a lean median salary of $38,220 a year. Even archivist and curator positions, most of which require a master's degree, pay median salaries of just $47,340 and $49,590, respectively. A better bet: An undergraduate degree in art education, coupled with a master's, would arm you with both art and teaching skills and put you on the fast-track to becoming a postsecondary art teacher. With a median salary of $62,160, by far the highest for a non-administrative job in the art industry, these teachers can continue to critique masterpieces without living the starving-artist lifestyle. Social work is a valuable endeavor, but “those who choose it as a major should know that it tends to be an underfunded side of the economy,” says Matt Sigelman, CEO of workforce research firm Burning Glass Technologies. There is certainly demand for the profession, with health care social workers in particular enjoying a projected growth rate of 26.8% between 2012 and 2022. A master's degree in social work can put you in position for administrative jobs that offer greater financial reward for your altruism. A better bet: Social work can be significantly hindered (or helped) by policy, and a major inpublic administration provides an opportunity to influence this from the top. The course of study leads to a decent median starting salary of $40,600. And with more than 150,000 online job postings in 2013, you should have an easier time landing a position. 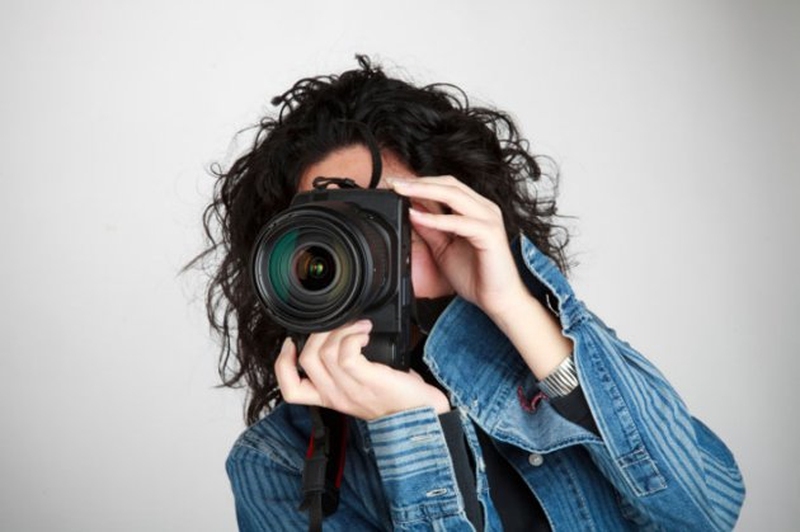 Studying photography can be a valuable pursuit—courses teaching you the intricacies of working a camera and manipulating light will certainly make you a better photographer—but an exhaustive bachelor's program might be overkill. With talented photographers getting hired with only a high school diploma, paying for four years of schooling is an expensive investment. The profession is growing at less than half the rate for all occupations, and with smartphone cameras becoming more sophisticated, amateur photographers are nudging their way into the industry. A better bet: Still determined to work behind a camera? Try shooting subjects in motion with the skills you gain as a film production major. The median mid-career salary for grads holding this college major is a respectable $70,900. Expect to enroll in digital editing, cinematography and videography courses, among others. And if all goes according to plan, you might find yourself on the set of a TV show or movie after graduation. With low pay the norm for entry-level restaurant positions, and chefs and head cooks facing below-average job growth prospects, a bachelor's degree in culinary arts “doesn't come with a promising return on investment,” says Sigelman. There are no explicit qualifications to become a cook, so high school grads often skip the pricey college route and jump right into the fast-paced industry. A better bet: Learning how to cook is a start, but understanding how to profit from your culinary skills will put you in a better position to succeed, especially if you dream of opening your own restaurant. Business administration majors have the know-how and make a median $71,000 mid-career salary. And if you find you aren't suited for the intensity and long hours of the food industry, business administration skills are transferable. For those set on becoming a cook or eventually a chef, a two-year associate's degree program might be a more cost-efficient route than a bachelor's program. With the lowest starting and mid-career salaries on our list, child and family studies majors might have trouble providing for their own families. Students can expect to take courses covering topics such as contemporary family issues and infant and child development. Observation-based studies will serve as the backbone of most research work, and graduates will have mastered the phases of human development from womb to tomb. A better bet: Why limit your focus when you could study something more large-scale, such associology? Majors learn about human interaction in society, with a focus on analyzing the intricacies of relationships within groups. Sociology graduates are more attractive job candidates in a wide range of fields, even those seemingly unrelated to sociology, because of their understanding of human interaction and strong research skills. By mid-career, the median salary of a sociology major is 58% higher than that of a child and family studies major. Biblical studies majors can expect to spend time learning a biblical language, doing service work and studying abroad. Many students go on to graduate school, which can lead to a position as a philosophy or religious studies teacher, earning a solid median salary of $64,990. But a bachelor's degree alone in biblical studies won't net you as much. A better bet: A more general concentration in philosophy could work miracles for students' career prospects. This major doesn't necessarily shut the door on a religious profession; Pope John Paul II was a philosophy major, after all. A median mid-career salary of $78,300 for philosophy majors doesn't hurt, either. Only a select few are able to make good money because of their artistic talents, and musicians are no exception. Not everyone can win a Grammy. But an undergraduate degree in music doesn't necessarily lead to a life on the road trying to make it big with your band. There are opportunities as music teachers in schools and as private instructors, albeit not a ton. Expect to spend a lot of time practicing your craft and performing in front of professors. A better bet: If you are intent on pursuing a career in music, consider adding a second major as insurance in case the harsh music biz isn't kind to you. Any area of interest will work, but history is a good option because it will give perspective to the music history classes you will take as part of your primary major. As an added bonus, history majors have a median mid-career salary of $71,000, which will help offset the costs of your band's tour around the country. Animal scientists work closely with farmers and ranchers to implement new technology in maintaining quality livestock. Be prepared to study animal anatomy and perform dissections. Many animal science majors pursue advanced degrees in specialties such as nutrition and dietetics, but animal scientists—who usually hold a professional or doctorate degree—only bring in a median salary of $61,680, making graduate school a costly investment with limited reward. A better bet: Graduates looking to bring home more bacon can turn to food science as a viable alternative. With a median mid-career salary of $80,500, professionals can enjoy a more comfortable lifestyle. Students take courses in food chemistry, food quality control and management, and food microbiology, among other subjects, to ensure that they are well prepared to keep the food supply safe and healthy. Horticulture majors emerge from school as experts on greenery but not in the form of cash. With fewer than 400 online job postings in all of 2013, graduates who aren't going into the family business have slim prospects for finding a job. Courses in greenhouse management and plant genetics can set up students for jobs as plant and soil scientists upon graduation, but those employed by colleges and universities will only earn a median salary of $46,710, and the occupation has a below-average job growth rate of 7.5%. A better bet: How about instead majoring in landscape architecture, which puts you in charge of planning the layout of the plants, not pruning them? With a median salary of $64,180 and an above-average job growth rate of 14.3%, the future is brighter for landscape architects, who can design anything from backyards to golf courses. Helping people reach their fitness goals is a noble pursuit, but it's one that comes without great financial reward or job opportunities. With scant online job postings and the third-lowest median starting salary of the 129 majors we looked at, the chances of finding work as a recent grad aren't very promising. Some graduates head back to school and train to become chiropractors or physical therapists, which offer higher salaries and more welcoming job markets. A better bet:Fitness junkies could go further with a degree in health sciences. This broader major still touches on science, biology and health, but it has higher earnings potential. With a median starting salary of $38,400 and a median mid-career salary of $70,500, you'll find it easier to make ends meet after graduation. Server responsed at: 04/19/2019 9:01 a.m.